Come join me in person for an event to remember. My goal for these retreats is that you walk away with the knowledge, confidence and skills to paint on your own. When you leave at the end of the retreat I want you to have 2-5 finished projects, a sketch book full of ideas and a brave heart to create joy. 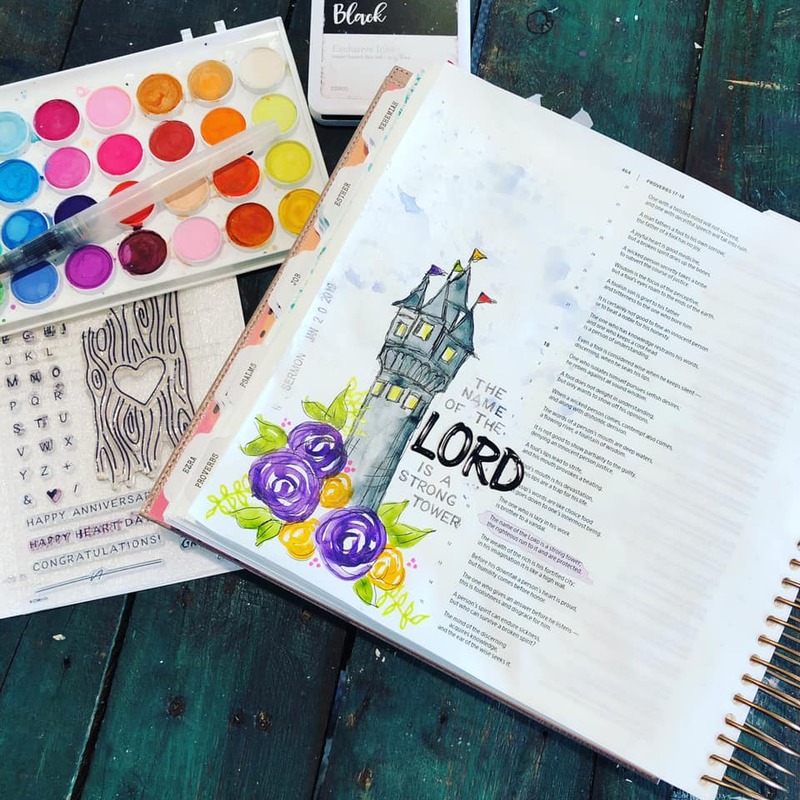 We will spend the day painting your very own personalized bible cover and discussing techniques painting/journaling inside your bible. Personal attention- Class is limited to 5 students, so you will have lots of one on one time. Lunch- We will break for lunch and it will be catered. Water, Snacks and a glass of wine at the end of the day! Seasonal Decorations are my Favorite! I love when each of them rolls around. For this class I want you to create a set of small paintings to change out each season. A frame to sit on the counter or mantle that you can be proud to display. Woodland Critters wearing scarfs and hats will add a bright spot in you home this winter! My goal for these retreats is that you walk away with the knowledge, confidence and skills to paint on your own. When you leave at the end of the retreat I want you to have 2-5 finished projects, a sketch book full of ideas and a brave heart to create joy! Supply Bundle- These items will go home with you at the end of the day. Sometimes a really big blank canvas can be intimidating, so this summer we are going small! Come paint some small little images, mini books, a canvas and so much more!